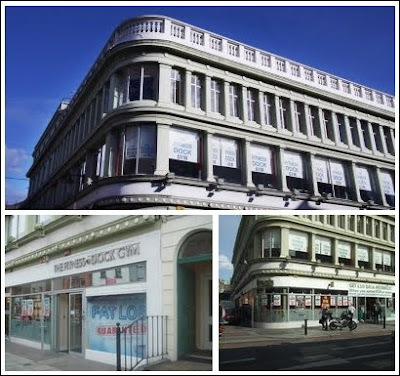 Gyms in Dublin offer a list containig a wide range of Fitness centres, Health & Leisure Centres, and Gyms in Dublin. Feel free to post your review or read the reviews made by other users. Our comprehensive list of Dublin Gyms can be found below and is updated on a regular basis. Simplyfitness It's not rocket science....It's SimplyFitness! Most gyms rent the use of their equipment. We show you how to use it to get what you're really paying for - to feel and look better! Getting in the best shape of your life is as simple as energy-in (food & drink) and energy-out (the right kind of exercise) and yet so many people complicate it in their heads to the point they do nothing but make excuses! Just 30 minutes of the right kind of exercise a couple of times a week and behaving ourselves a little better when it comes to food and drink is all it takes to be in super shape, to improve energy levels, confidence and maybe even life longevity. And since we're all out to do the same thing here at Simplyfitness regardless of our age, shape or level of fitness you won't feel as welcome working out anywhere else. It's no judgement/no-poser zone. And if you're not a gym person and just want to do the classes or take part in one of our acclaimed weight loss programs to lose excess fat fast then, we don't expect you to have to pay for gym membership on top. Although members get up to 20% discount, our classes and programs are open to anyone whether a member of the gym or not. The reason we can offer so much for so little is because we don't waste money on the costly frills that other gyms use just to entice you in but know you won't use. We keep it simple and our focus is on fitness and fat loss and not on leisure and lounging... it's sometimes too much of the latter that has us coming to the gym in the first place! For starters, we'd love to see you for a free trial of the gym facilities. If you've used a gym before than the free trial is a nice way to find out if we've got everything you feel you need for your workouts. If you've never used a gym before we'll get you started with a great cardio workout and can tell you what kind of exercise would suit you best to achieve whatever it is you are looking to achieve from weight loss to increased fitness (or all the above!). The Fitness Dock Coral Leisure and The Fitness Dock gym is committed to providing you with every opportunity to reach your fitness goals. We have some of the most qualified personal trainers for you to avail off. Our gym is built to help people realize their goals and find their inner strength. We combine the most diverse amenities in the industry with the best personal training to deliver the ultimate fitness experience. At The Fitness Dock you'll find all of the latest cardio and strength training equipment along with a dynamic group exercise program that includes classes like yoga, pilates, group cycling, box circuits, capoeira, bodypump, bodyattack and step. Most importantly, you'll find an energetic, supportive environment full of all kinds of people who are committed to achieving their goals. 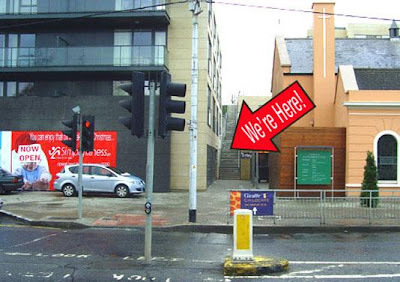 The Fitness Dock gym is located in the heart of Dublin's city centre, within walking distance of the Luas and main bus services. This Dublin 2 gym really has something for everyone! Curves Created specifically for women, Curves offers a complete fitness and nutrition solution for you in Ireland. Curves is the world's leader in women's fitness, offering complete exercise and diet solutions to 4 million members in more than 70 countries. Curves works because it gives you a complete cardio and strength-training workout in just 30 minutes, where you can burn up to 500 calories every time. The circuit is made up of resistance machines that work every major muscle group, two muscles at a time. And with a Curves trainer to teach and motivate, you’re sure to reach your fitness goals in no time. Whether you want to lose weight and inches, gain energy or tone up, the Curves circuit will work for you. Note: Information provided is for information purposes only and no guarantees are made with regards to accuracy. It is advised that all details are checked prior to making a booking. Iveagh Fitness Club Originally built in 1905, the Iveagh Trust Baths have been transformed into one of Dublin’s top fitness clubs. 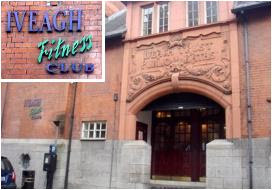 The Iveagh Fitness Club is the city centres largest, most dynamic and best-equipped fitness club. At the Iveagh, we believe that health and fitness is the most important aspect of life. Our members want to make a lifestyle change and make exercise an important part of their day so we dedicate our time to help members achieve their health and fitness goals. We offer two 350 square metres of fitness suites with state of the art cardiovascular equipment. 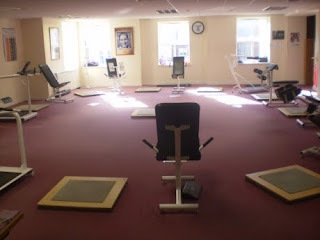 This allows our members to workout in comfort, in a well-equipped, spacious environment with the latest computerised equipment. Fitness goals are achieved through using a wide variety of our cardiovascular equipment.